Would you believe I have never actually eaten Key Lime Pie? 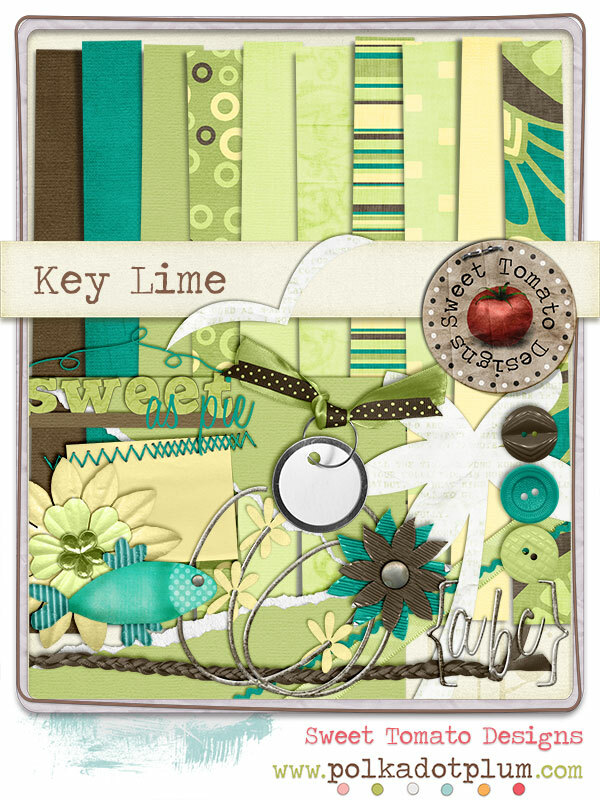 Well having said that I’m not feeling too left out as I got to play with Sweet Tomato Designs newest kit, aptly named Key Lime Pie. Now the unusual thing is I just couldn’t figure out a photo that fit with what I felt compelled to scrap about. A few ideas popped into my head for our personal scrapbook, but nothing that I really wanted to have posted online for all the world to see. 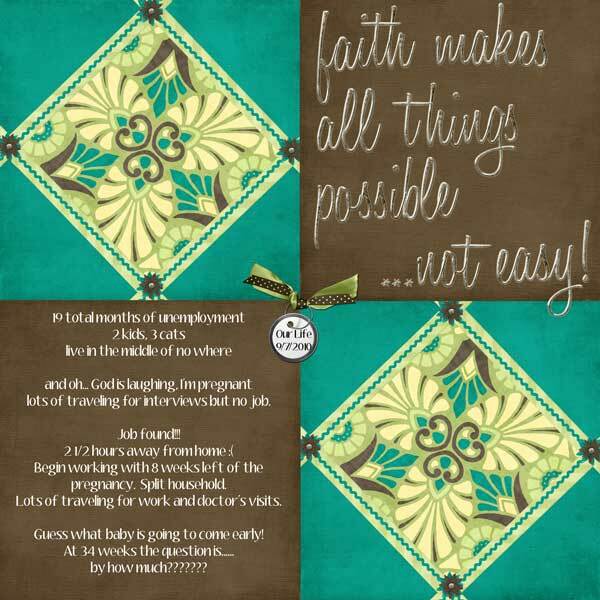 So here is what I created, a photoless scrapbook page. I know it doesn’t happen often.